Dear friends! We are glad to announce 5 years Anniversary of our project. We celebrate it with the 21st issue of the journal and with a new format from the archive of the journal where you can observe all covers of the magazine in a row. It is the second time when our issue is decorated with the work by a photographer Alexander Yermolitskyi. We continue our collaboration with the constant authors and we are glad to introduce with the new authors (there are famous scholars among them which works appeared in the issue the first time). Six more names were added to the present circle of the authors in the issue. Later, PDF-version will be published on our web-page, and the materials will also be uploaded to the database of the Russian Science Citation Index (RSCI). We hope that the present issue will be useful in your work, will be interesting for reading and will help the beginners in science. We welcome the papers for the next issue. The Tuvan State University has elected a new Chancellor via ballot on the 23rd of January 2014, during the Chancellors Election Conference of the University of Tuva. 129 out of 151 delegates voted for the Doctor of Science (Philosophy), Pro-Chancellor of Science and International Relations, Olga Matpaevna Khomushku. The second candidate, Boris Kombuy-ool Kara-Sal, Doctor of Technical Science, Chairman of Industrial and Civil Construction, received 21 votes. The current Chairman of the University, Sergey Oktyaevich Ondar, Doctor of Science (Biology), will finish his term of appointment on the 24th of February 2014. Olga Khomushku is a member of editorial board of our magazine, so it is even more exciting for us to hear the news. Our heartiest congratulations to Olga Matpaevna! Dear colleagues! 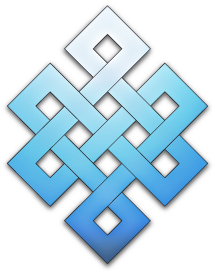 The Institute for Mongolian, Buddhist and Tibetan Studies (IMBTS) of the Russian Academy of Sciences (Siberian Branch) announces that an international conference, “Buddhism in the Changing World”, will be held inUlan-Ude on May 28-31, 2014. 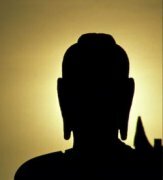 The following themes will be discussed:​ Buddhist Texts, History of Buddhism, Buddhism in the modern world, Buddhist Philosophy, Soteriology, and Culture. In the framework of the Conference the following Round Tables will be held: Science and Buddhism, Russian-Mongolian researches on Buddhism: present-day state and prospects. We particularly welcome papers addressing the following topics: Buddhism in Russia; comparative study in Mahayana and Theravada traditions, Indo-Tibetan and Far-East traditions of Buddhism; Buddhist and non-Buddhist philosophy of the West and East; present-day state of Buddhism in the regions of its traditional prevalence; peculiarities of Buddhism in Russia and in the West; interaction between Buddhism and modern science; dialogue and interaction between religions and cultures. Dear friends – our colleagues! We are pleased to announce the new issue # 4/2013 of the journal. We can describe it as a kaleidoscope of new research in Social and Humanity Studies not only about Tuva but also about other territories – Kalmykia, Yakutia, Mongolia. Besides, territorial interests of our authors enlarge as Siberia, as Europe. Ten new authors have joined the circle of our journal authors. We are pleased to state that our issue has become a valuable ground for operative representation of the research results for the members of different scientific schools, centers, regions, for the study of the colleagues’ works, exchange of opinions, and for the further professional, friendship communication as by correspondences, as by private meetings. Thank you, dear colleagues, for your trust and interest to our journal which quality we will maintain further. You can read the full information in the word of the editor. PDF version of the issue will be published soon; the materials will also be uploaded to the database of the Russian Science Citation Index (RSCI). The Tuvan State University has received the second international grant for “Development and Implementation of Master’s Program in the food safety, food industry and traditional food products distribution in Russia and Kazakhstan (TradPro)”. During the European Union’s program “Tempus IV” this project was supported as a result of the international contest. 937 variants of projects were received in a whole from both Russian and European universities, and 171 among them were approved and will be funded. 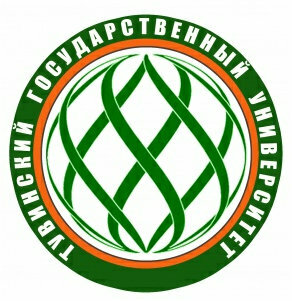 The project is run by the Universities’ Consortium that include French universities (SupAgro, Montpellier; Agrocampus Ouest), Italian universities (The University of Milan, Pisa University), Swedish universities (Swedish University of Agricultural Sciences), Kazakhstan universities (Akhmet Baitursynov Kostanay State University, Kazakh State Agrotechnical University named after S.Seyfullin, Pavlodar State University named after S.Toraygyrov , Russia (Tyvan State University, Kalmyk State University, Buryat State Agricultural Academy named after V.Fillipov, Kuban State Agricultural University). Private business companies of Russia and Kazakhstan will support the project’s realization. 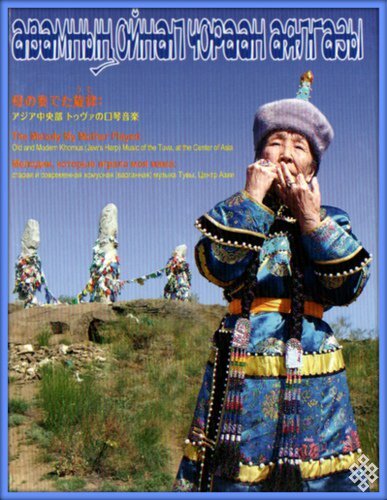 Nihon Koukin Kyoukai (Japan Jew’s Harp Association) has released a new CD with collection of unique Tuvan khomus music “The Melody My Mother Played: Old and Modern Khomus (Jew’s Harp) Music of Tuva, Center of Asia”, Tokyo 2013. The CD consists of two parts. 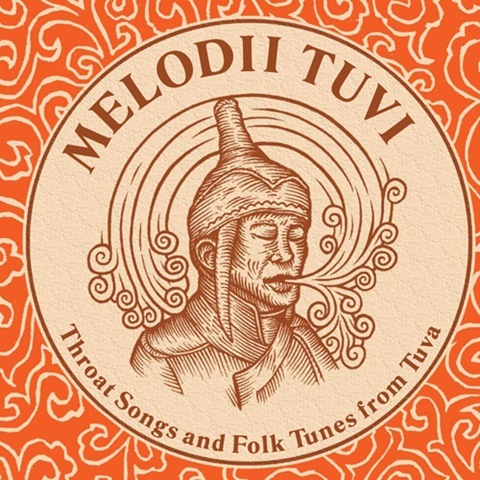 The first one is mostly the result of collaborative work of Valentina Suzukei, PhD, one of the leading Tuvan ethnomusicologists and Tuvan khomus music specialists, with Leo Tadagawa, the Head of the Nihon Koukin Kyoukai (Japan Jew’s Harp Association). The recordings of various types of khomus music, performed by the masters of different generations, were made in July 2010 in Kyzyl. 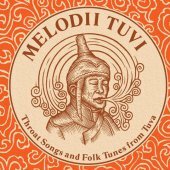 The second part contains field recordings made by Valentina Suzukei, which have been collected within 1985-1995, mostly in Western part of Tuva. The elder generation of performers witnessed the period when a khomus used to be a vivid traditional instrument. Sometimes, noises of everyday life are noticeable in records, as all of the music recorded on both CD’s was made outside of a studio, witnessing the conditions under which people used to play the khomus. Dear friends – our colleagues and readers! We would like to express our sincere congratulations on the occasion of the Knowledge Day which is a holiday celebrated on September 1st in Russia, and we are pleased to announce the current issue of our journal. Traditionally, its content is represented in the editor’s foreword. We would like to thank all our regular authors and also the new ones! The size of the present issue is 197 pages (i.e. 8,7 printer’s sheets). All articles of the journal are already uploaded to the database of the Russian Science Citation Index (RSCI). We have already opened the submission of new manuscripts for the issue 4, 2013 that will be published in the beginning of December. We are looking forward to new works and will be glad to collaborate with you! IVth International scientific and practical conference "Tengrism and epic heritage of the Eurasian people: sources and present"
International Fund of Tengri Research, International association of Mongol researchers, Academy of Mongolian tradition, Esh tenger sudlal (with assistance of the Ministry of Culture and spiritual development of the Sakha Republic (Yakutia), Russia) оn October 09-10, 2013 in Ulan Bator (Mongolia) it is being held the IVth International scientific and practical conference "Tengrism and epic heritage of the Eurasian people: sources and present". This wandering conference which is traditionally carrying out every second year since 2007, gathers more and more participants from the different parts of the world. 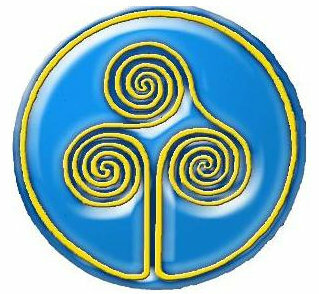 The conference materials are exposed on a web site http://tengrifund.ru Today it is possible to note that the new direction of the humanity as a tengri research has appeared. On the edge of centuries, under conditions of the global challenges, difficult processes of designing of the interethnic, interfaith relations and growth of intensity between various cultural traditions, the search of the ways conducting to a consent and peaceful co-existence shows necessity of development of other research methods for attitude and religion of Eurasian people. Studying of outlook and religion features of the Central Asian natives settled across all Eurasia, who have many typological and genetic similarity can become one of steps in this direction. 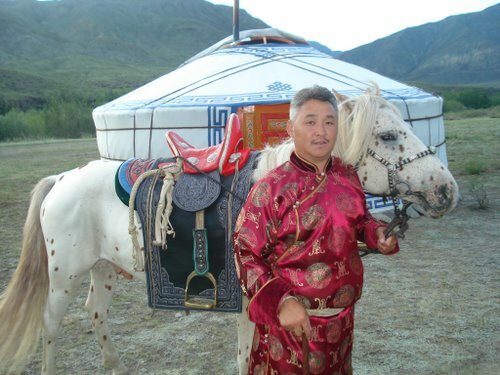 Merited Artist of Russian Federation, People’s Khoomeiji and Honored Educator of the Republic of Tuva, one the most renowned Tuvans in the world, throat singer, musician, teacher Kongar-ool Ondar has died today in Kyzyl aged 52. His official birthday was March 29, 1962 and Kongar-ool Ondar confessed this date was very conventional and he always marked his birthday twice in a year – on March, 29 and December, 4. Recently all the Tuva and throat singer’s friends and fans celebrated his 50th anniversary on “Dembildey-2012” festival. Kongar-ool Ondar was one of the most magisterial throat singers in the world. He teached a whole new generation of young musicians in Tuva. Kongar-ool Ondar has told the story of his dramatical life full of ups and downs in a big biographical interview for “The Center of Asia” newspaper last year. “The New Research of Tuva” expresses its sincere condolences to all the relatives and friends of Kongar-ool Ondar and deeply bewails the grievous loss of Tuvan culture. The National Khoomeizhi of Tuva Mongun-ool Ondar was the Grand Prix winner of the VI International Ethnomusicological Symposium “Khoomei - a Cultural Phenomenon of the Peoples of the Inner Asia”. 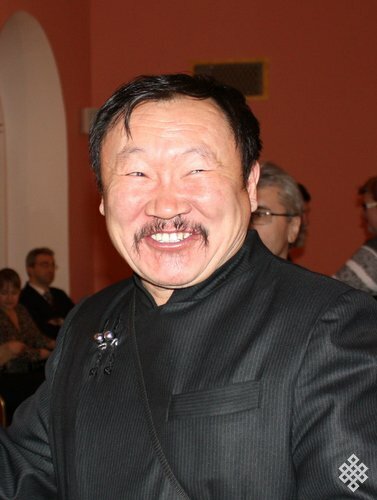 It is the second highest award he has received, the first prize came 20 years ago as a 16 year old at the First International Throat-Singing Forum. The laureates of individual khoomei performance are Ayan-ool Sonam (1st), Igor Koshkendei (2nd), Bady-Dorzhu Ondar (3rd). The last two artists were awarded with Grand Prizes in solo throat singing in 1998 and 2008 correspondingly, and they are members of the “Alash” Ensemble, which has become a winner of the Grand Prix in the Bands category this year. The Awards were presented to the winners by the Head of the Republic of Tuva, Sholban Kara-ool. 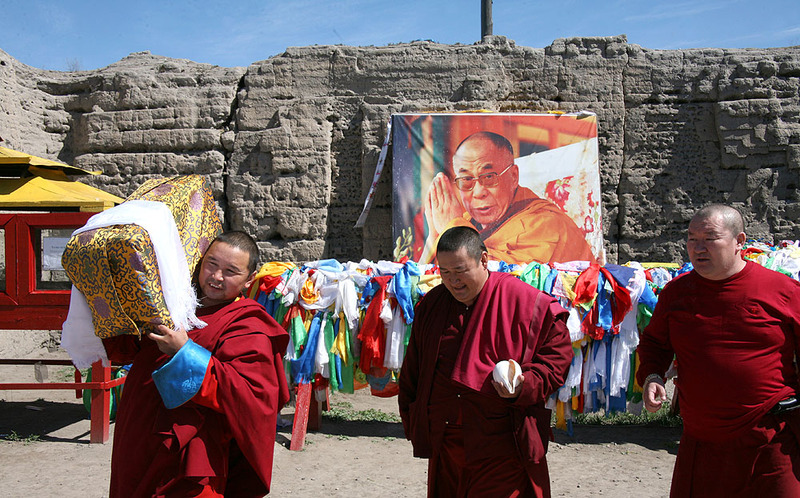 He expressed gratitude to the participants of the Symposium for their constant interest to the ancient art of Tuva. 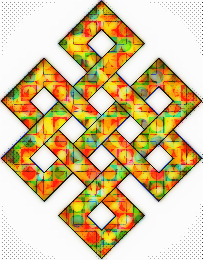 “Khoomei is an impenetrable mystery of the Tuvan people’s soul and it is our mighty heritage. Our ancestors used to say: “I will never leave my khoomei, I will always carry it with me”. Dear friends, colleagues, and our followers! We are happy to present you the second issue of the magazine this year. We have ten new authors having joined us this time – from the well respected scientists and cultural figures to scholars. The articles of our regular and new authors, including ones from Buryatiya and Kalmykia, are quite appealing to the audience. Most of the articles are very recent, including those that had been written especially for the current issue of our magazine. Within short time all the works will be uploaded to the Russian Science Citation Index database. Let us remind you that we keep accepting materials for the next issue that is going to be issued this autumn in the beginning of September. If you have any questions or suggestions feel free to contact the Chief Editor or to place feedback on the internet page. 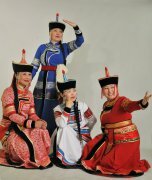 Amongst the bright men’s voices of the folk bands of Tuva, “Tyva Kyzy” ensemble (tyvakyzy.com) is the only female throat singing folk group. Traditional songs are performed to the accompaniment of ethnic instruments, which are prevalent in the bands repertoire, preserving the authenticity and traditionalism with their distinctive arrangements within the music. The ensemble was established in 1998 under the direction of Choduraa Tumat. Starting from 1999 the group has been participating in a number of different international festivals and cultural exchange projects of the small peoples of Russia. “Tyva Kyzy” was cheered loudly by the audiences in France, Germany, Belgium, Holland, Sweden, Norway, Switzerland, Spain, Portugal, Poland, Finland, 16 states of the USA, Japan, China, and Korea. The unique tones of the singers complement each other harmoniously. The works on the erection of the biggest statue of Buddha in Russia are drawing towards a completion, a representative of the Tuvan Buddhist Union Buyan Bashky says. The construction of the 6 meters tall postament has already been finished on the Dogee Mountain. Tibetan artists have been working on the shape of the statue throughout May. Gigantic monument will be located in Kyzyl, the capital of the Republic of Tuva, on the top of Dogee Mountain and will be visible from all parts of the city, Buyan Bashky says. At the very start of the project the statue was planned to be 40 meters tall, but changes have been made later with the result of reducing height of the monument to 21 meters, 15 meters - the figure of Buddha and 6 meters of the lotus throne. The idea of the emerging of the statue was born several years ago, but due to the economical crisis and financial difficulties the works started just in 2011. All the construction is being made by means of community’s donations and contributions, and not only financial. VI International Ethnomusical Symposium "Khoomei"
The Internet competition (further - Competition) among Russian and foreign performers of throat-singing (Tuvan khoomei), 8-13 June, 2013 – within the VI International Ethnomusical Symposium "Khoomei"
The Competition aims at increasing and strengthening of the prestige of the Tuvan throat singing in the Russian Federation and worldwide. Dear Colleagues, The Silk Road was the major commercial route extending from mainland Asia on to Europe and Africa that has continued its significant logistical role for a period of almost 2000 years up until the early modern times. It was named after the Chinese silk transported over to the West. This main commercial route, has also continued to function as a basic link between the peoples and cultures along it for centuries. In today’s world of expanding globalization, the countries along this route, with Turkey at its centre, similarly figure prominently on today’s global economic, social, cultural and political agenda. 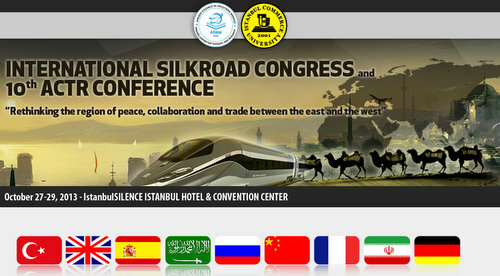 The recent academic efforts to re-evaluate and rejuvenate the Silk Road in all of its various facets have culminated in the idea to organize an international conference on the subject. “The International Silk Road Congress: To Rethink a Region of Commerce, Cooperation and Peace”, is being organised in collboration with various institutions and universities, and under the coordination of the Ankara Centre for Thought and Research and Istanbul Commmerce University. It is planned to be held in Istanbul, Turkey on 27-30 October 2013.